Latus Motors Harley-Davidson® invites you to our local motorcycle dealership. 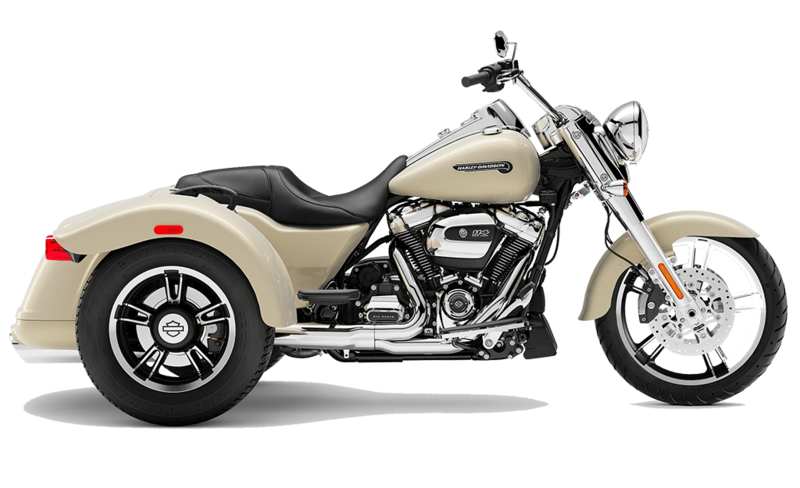 We have a full selection of 2019 Harley-Davidson® Trikes for sale near Salem, Oregon. We are eager to help you find your three-wheeled soulmate. If you are shopping for a luxurious ride that delivers an iconic rumble that satisfies the soul, then look no further than Harley-Davidson® Freewheeler®. Motivated by a Milwaukee-Eight® 114 V-Twin engine, this new Harley® Trike comes with horizon-chasing power on a comfortable handling frame. This 2019 Freewheeler® is ideal for the rider who appreciates a solid foundation while still having a full powerband. Are you familiar with the adage, "Good things come in threes?" Well, here's proof. 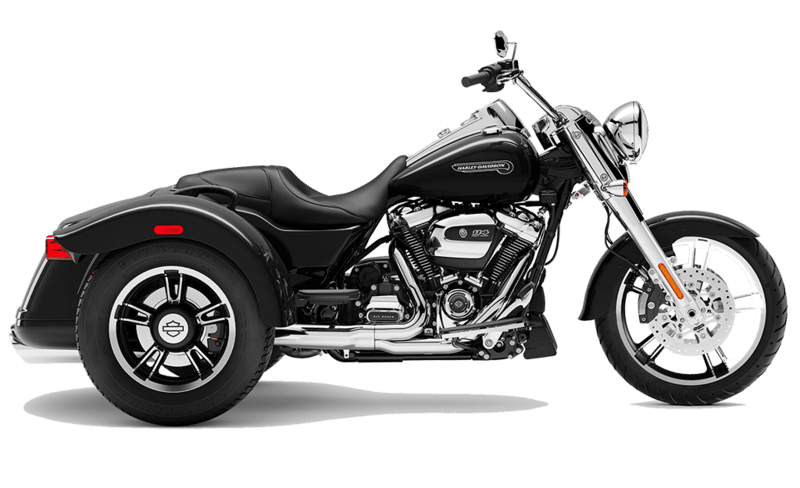 This new Harley-Davidson® Trike is styled with bobtail rear fenders, stripped-down custom style, and classic cruiser lines. From the slash cut pipes to the chrome headlight nacelle, this Trike delivers rebellious style. Set the rear suspension to your preferred level and shred the highway on a 2019 Freewheeler®! Since you are shopping for a new three-wheeler, you might be wondering what to do with your current ride. Trading in your used motorcycle to Latus Motors is a smart way to lower your downpayment. Find the fair market value you deserve at our Harley® dealer. When you are ready to make your purchase, our finance department can help you find lease deals on new Harley-Davidson® motorcycles. 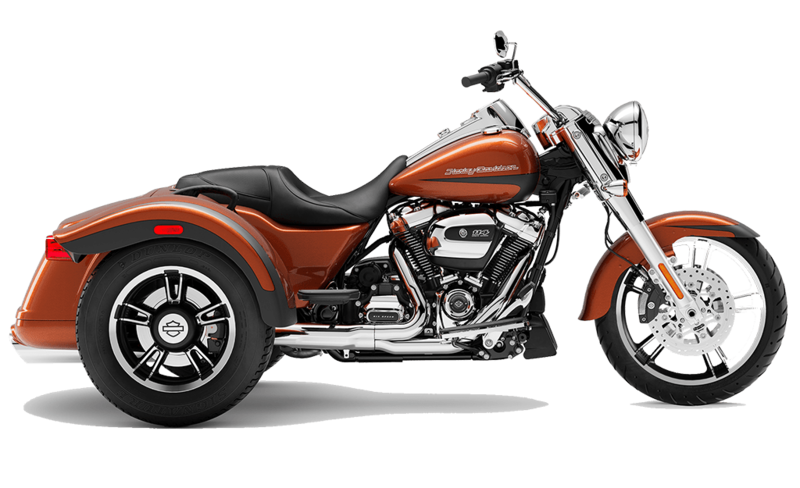 Make the short trip from Portland to shop our Harley-Davidson® dealership. You'll find a sales team that shares your passion. You'll also find a fully-stocked accessories department. When you're shopping for a new motorcycle helmet or genuine Harley-Davidson® apparel, Latus Motors Harley-Davidson® is eager to help. Visit our location near St. Helens, Oregon today and ride home on a 2019 Harley-Davidson® Freewheeler® tonight! The Freewheeler®™ boasts radical hot rod style with easy handling. Seat Height, Laden 7 26.2 in. Seat Height, Unladen 27.6 in. Weight, As Shipped 1,085 lb. Weight, In Running Order 1,118 lb. 8 High beam, running lights, battery, neutral, low oil pressure, engine diagnostics, cruise control, security system, gear indicator, low fuel warning, reverse, park brake, miles to empty.